Barbie, she's a little girl's dream model. I cannot remember having a Barbie doll when I was a little girl. Because my parents earned just enough for our needs, I perfectly understand that we cannot afford to buy one and it's okay. 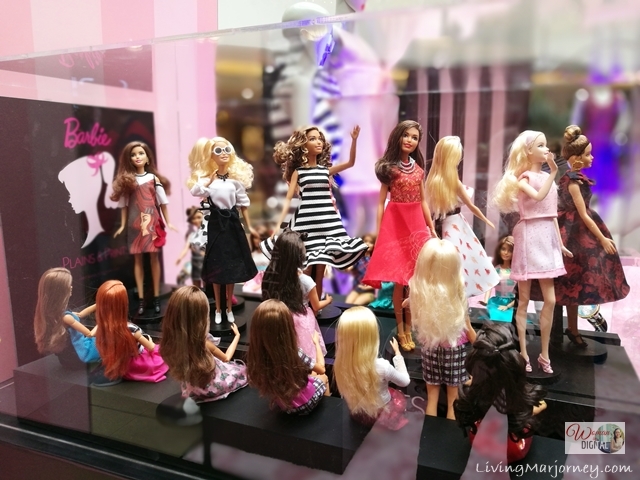 But who would not want to have a Barbie doll? She's pretty, you can dress her up in different styles; play with a Barbie doll house. When I arrived at the "Dolled Up For The Holidays" hosted by Barbie and Plains & Prints, I suddenly felt like a child again. Why not? When you're inside a life size Barbie house. 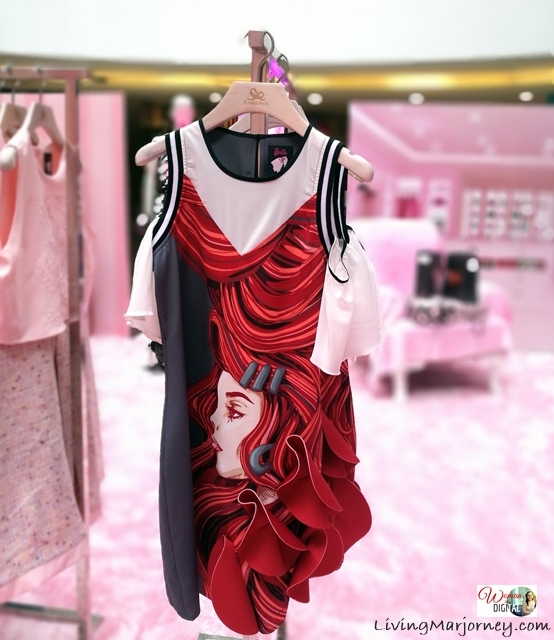 Aside from gorgeous Barbie dresses, there are several Barbie dolls displayed in a capsule. The invitation said we could come in our best Barbie Chic outfit so I came in pink lace above the knee dress which I decided to pair with a black leggings to make it age appropriate outfit. Barbie was born 58 years ago. Since then, she has become a popular not just an ordinary doll, even a model. She continues to inspire women in the world to become whatever they want to be. She never go out of style, always fashionable and elegant. Ann Curtis Smith, brand ambassador for Plains & Prints arrived and lead the short fashion show wearing a black top and stylish skirt which is also part of the collection. This holiday season, get dolled up with the limited edition Barbie Loves Plains & Prints collection. These pieces will be available at Plains & Prints starting November 7, 2017. Visit Plains & Prints and check out their holiday collection, www.plainsandprints.com, follow @plainsandprints on Instagram and Twitter. Last week, I was informed that I won in the Instagram contest! Yay! So I went to Plains & Prints SM Megamall branch and enjoyed early holiday shopping. I will share what I bought on my feeds, so keep coming back.